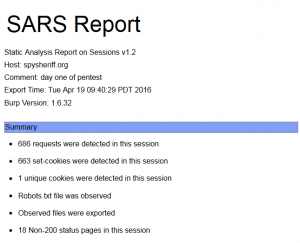 SARS is an offline static analysis web application penetration testing tool that uses the XML output from Burp Suite and performs a number of security checks to identify potential issues. 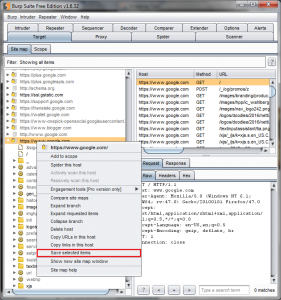 SARS can also be used to enumerate a web application to gain information for further testing. In the pop-up save dialog box, make surre to uncheck the “Base64-enocde requests and responses box.